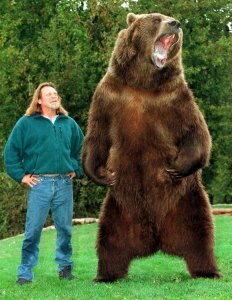 Bart the Bear’s legacy is as outsized as he was. 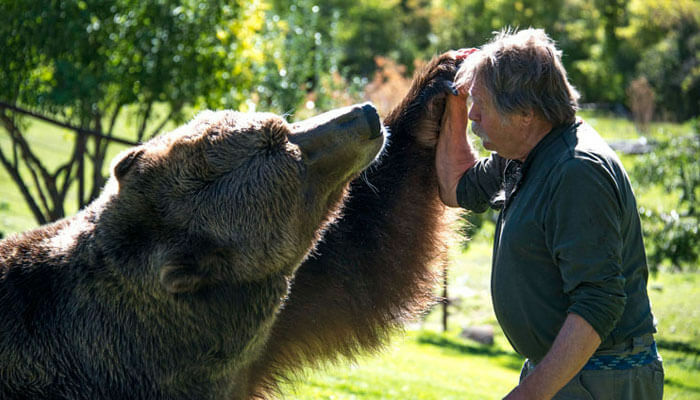 An Alaskan brown bear who lived with trainers Doug and Lynne Seus, Bart was a conservationist, a friend to many, and of course, the center of attention anytime he took the stage. Born in the Baltimore Zoo in 1977, Bart was adopted by Doug and Lynne when he was just five weeks old. 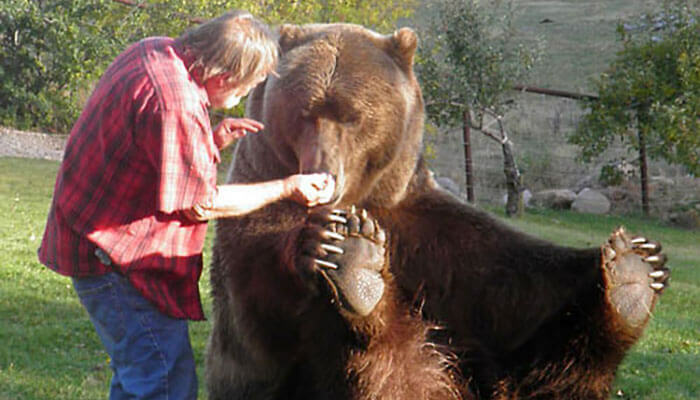 From a five-pound fuzzball to a gentle giant measuring 9’6″ and 1,500 pounds, Bart grew into one of the most famous — and influential — animal actors ever. Beginning with his role in The Life and Times of Grizzly Adams while still a cub, Bart starred in more than 30 film and television titles. The Seuses trained Bart with a praise and reward system and the results were legendary. Anthony Hopkins would spend hours on set sitting with Bart and admiring his calm presence. Unanimously, his human co-stars marveled at Bart’s abilities and temperament, from his iconic role in Legends of the Fall to his biggest job ever, starring in the title role of Jean-Jacques Annaud’s film The Bear. That performance prompted many in Hollywood to call for changing the rule that animal actors were ineligible for Academy Awards, while Bart’s career accomplishments have landed him on many critics’ lists of history’s greatest animal actors. Bart died peacefully on the Seus’ ranch in 2000 after a battle with cancer. His impact, however, was just beginning to spread when he took his last breath. After 23 years together, Bart had given Doug and Lynne more than just companionship and a gateway to Hollywood. 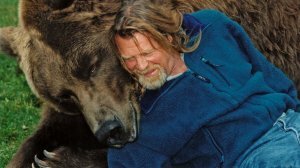 He inspired them to eventually adopt three more bears (Bart the Bear II, Honey Bump, and Tank) and, of course, he lit in them the fire of conservation. Determined to make a difference for Bart’s wild cousins, the Seuses established The Vital Ground Foundation in 1990 when they purchased 240 acres of threatened bear habitat along Montana’s Rocky Mountain Front. 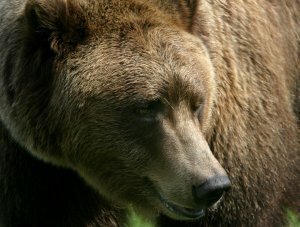 While Bart still lived, they ran Vital Ground primarily as a fundraising organization that supported conservation work benefitting grizzlies from Idaho to Alaska. 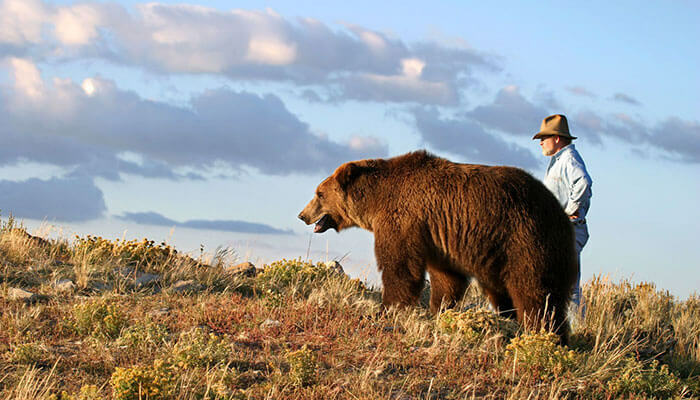 But shortly after his death, they began working toward a new vision, expanding Vital Ground into an accredited land trust equipped to both purchase grizzly habitat and protect it forever through conservation agreements with private landowners. To be closer to grizzly country, they moved the foundation’s headquarters to Missoula in 2005. Now, Bart’s legacy has resulted in Vital Ground helping conserve more than 617,000 acres of habitat for the Great Bear, and for all things wild and free.